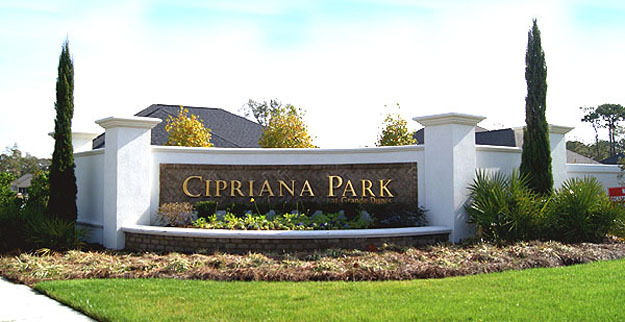 Cipriana Park represents the best of the best in Myrtle Beach's exclusive Grande Dunes community. This incredible neighborhood is designed for those who will accept nothing less than excellence. With sizes from 1500 square feet to nearly 2900 square feet of pure luxury, these homes are priced starting in the low $400,000 range. Read more about Cipriana Park at Grand Dunes real estate. Upscale appointments such as extraordinary master bedroom suites, walk-in closets, granite countertops sunrooms, gourmet eat-in kitchens, and screened porches add convenience and make your home a showplace. Those who chose to build a new house can choose between brick and stone, brick and stucco, or brick. Cipriana Park amenities are the finest. Membership at the Grande Dunes Ocean Club gives residents access to the stunningly beautiful clubhouse with incredible pools, private beach access, locker rooms and changing areas, food and beverage service, fine dining, and a members lounge. For golfers, there are 2 world famous Grande Dunes golf courses. The Marina is one of the best on the East Coast and offers avid boaters over 1200 feet of floating docks that can handle boats as large as 120 feet in length. There are numerous pools, a high-tech fitness center, and the Grand Strand's top tennis complex; featuring 10 Har-Tru® courts, eight of which are lit for night play. The Grand Dunes Tennis Club hosts a number of USTA sanctioned events, offers professional tennis instruction for all skill levels and ages, and has a complete Pro Shop. 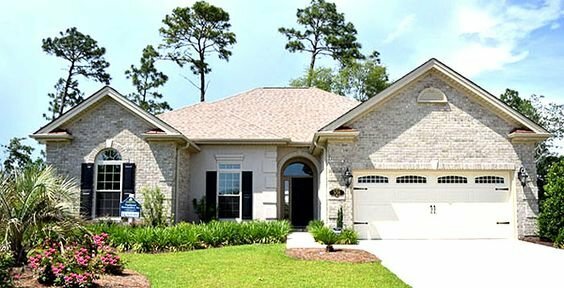 Call us today to learn more about the incredible neighborhoods of Grande Dunes and the beautiful homes for sale in Cipriana Park.